Firstly, I just want to state that I did NOT record this gig. I found this recording on my computer from a few years ago. It was originally a video recording which has been converted to MP3. From memory the taper was a guy by the name of Johnny. I was there that night and it was a blast. The whole Blink break up was a total downer for me, so it was great to have the chance to see Tom live. 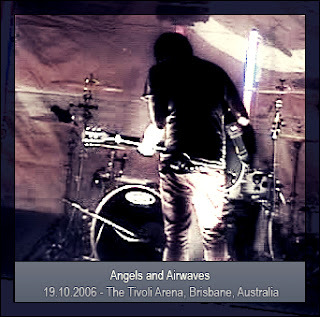 Pretty sure this is the first and only time AVA have played in Brisbane. The Tivoli was totally packed. There was plenty of laughs, a cover of I Miss You and There Is and even a crowd surfer going over the barricade and knocking Tom over. Great gig, worth the download.